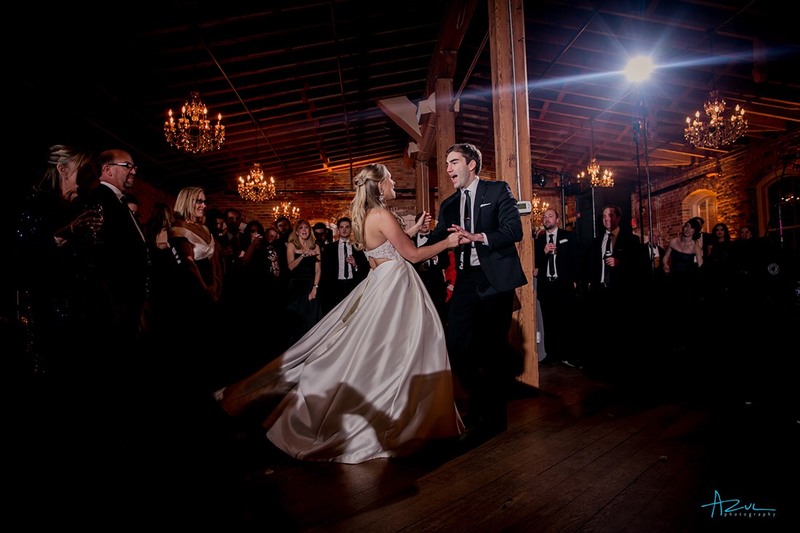 Katie and Chris were the perfect couple for a New Year’s wedding. They were fun, outgoing and wanted their guests to experience the party of a lifetime as the started their life together. The wedding ceremony was held at All Saints Chapel, a beautiful downtown location for an evening wedding ceremony with dim lighting and lots of candlelight! 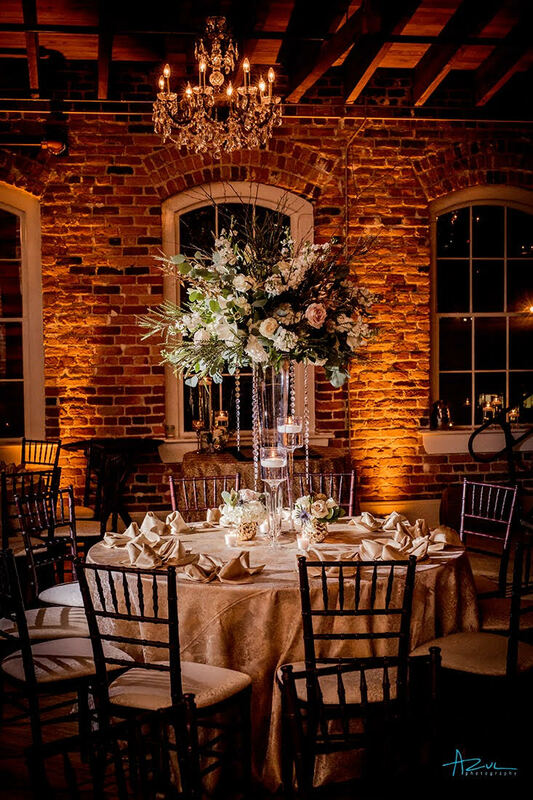 After the ceremony, guests moved to Melrose Knitting Mill to start the party! The cocktail hour was actually treated like a dinner service. Katie and Chris wanted to serve a fun, cocktail style dinner to their guests before they headed upstairs for the party. 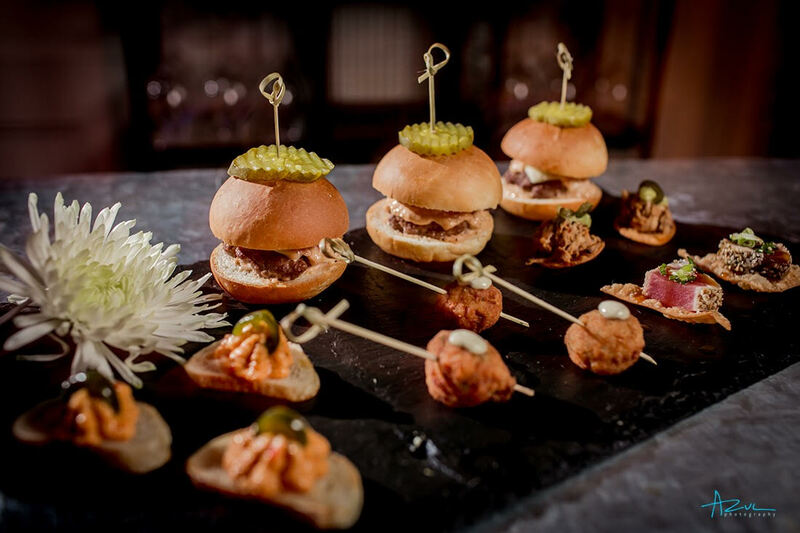 Under the twinkling lights of the heated tent, downstairs at Mulino Italian Kitchen & Bar, guests were treated to everything from sliders to Ahi tuna, shrimp and grits, and pimento cheese crostinis. A jazz group, during their combination cocktail hour-dinner service, played a great set with originals and lots of the hits. 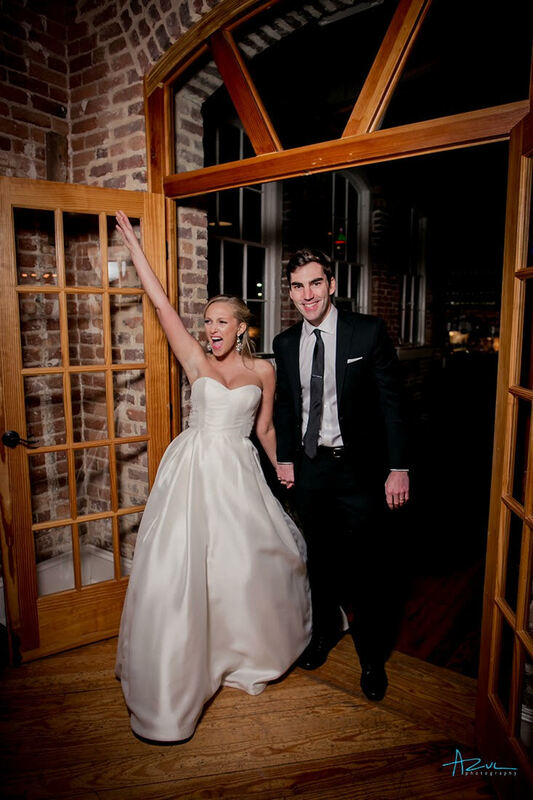 As a true Britney Spears fan, Katie’s one request was an acoustic version of “Toxic” as guests headed upstairs to the reception. 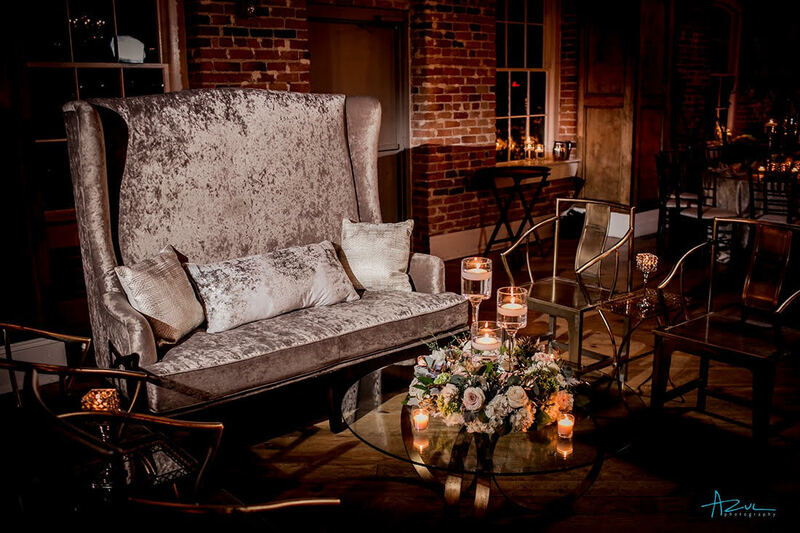 Once upstairs, guests were treated to an elegant play on a New Year’s Eve extravaganza. Katie and Chris worked with Brides and Bouquets to create a sparkly, fun look that would mirror the floral and candle components that guests saw at the chapel, creating a cohesively designed event. A Themeworks seating area with platinum, high back settee, and gold, metal chairs gave guests a fun place to hang out while they listened to the band and watched the dance floor. Katie made her entrance in her wedding gown, from Maggi Bridal and did an outfit change mid-evening into a two-piece, sequined number for the party portion of the night. 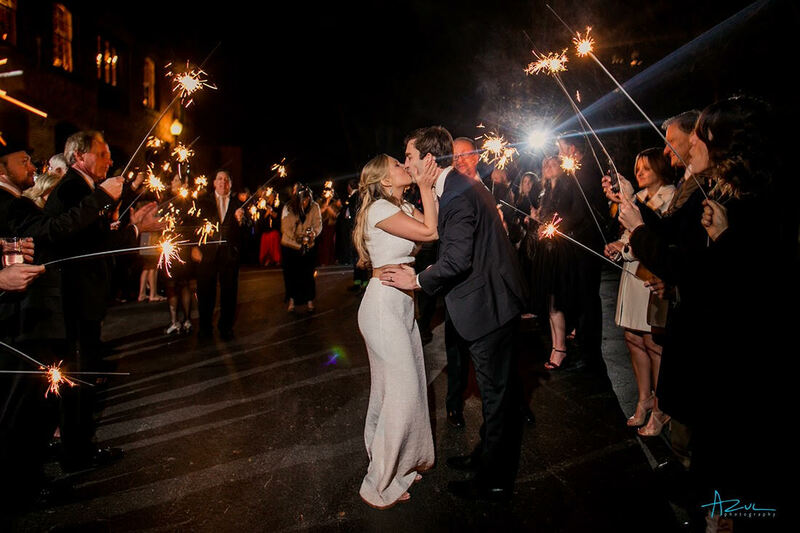 After a night of dancing, champagne, gold-dusted mini desserts, and counting down to the New Year, the newlyweds were sent off with a sparkler exit! 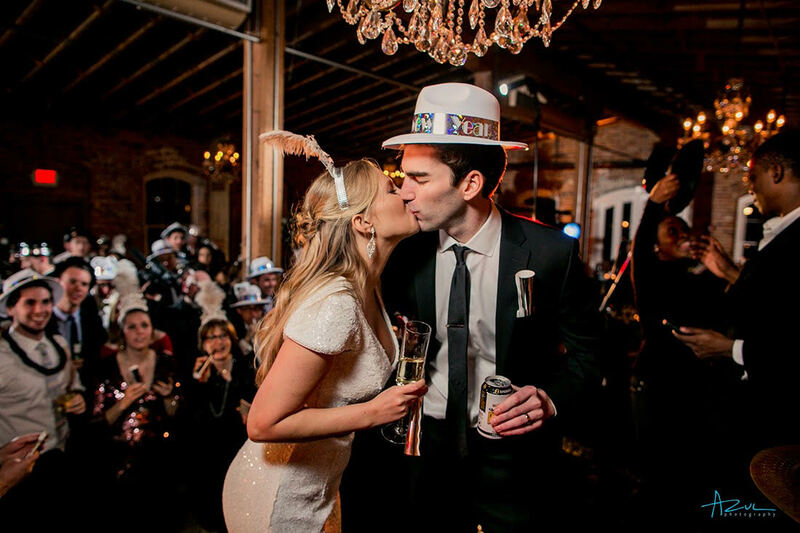 There aren’t too many better ways to enter the new year than with the one you love! 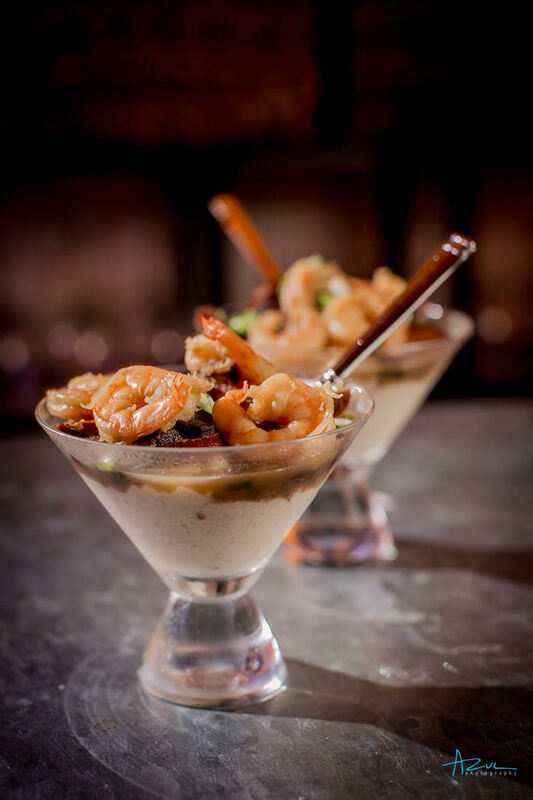 Let us know if you’re interested in a New Year’s Eve date for your upcoming event!